Once you have come up with a good idea, you’ve technically begun the product development process. While this is only a small initial step, it’s the right place to start. The real progress begins during a ceaseless process that often involves hard work, effort, and drawbacks along the way. Many entrepreneurs agree, the product development process is not something that happens in an instant. However, one of the best ways to take palpable steps forward is to utilize the services of a reliable product design and development company. This is a reason why many people choose to work with GloberDesign. With years of experience providing a product design and development services to a wide range of clients in various industries, along with modern technology, our product development company. 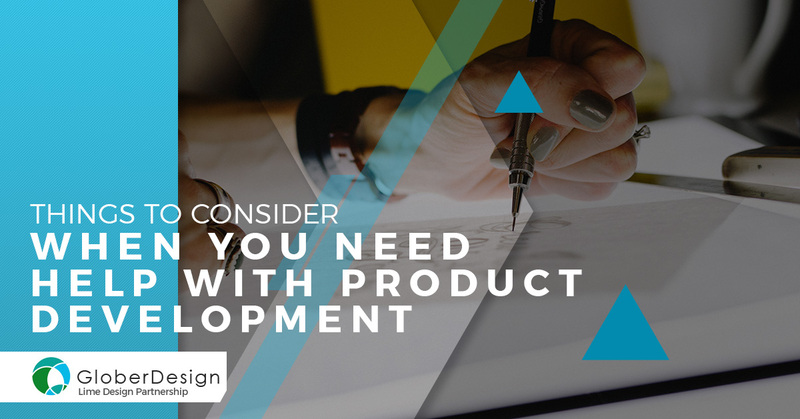 We understand that the product development process can be long and oftentimes dreadful, which is why in today’s blog, we are going to share four things to consider when you are beginning this lengthy process. It is easy to become frustrated during this process, especially if you have a good idea — you know it will be successful, however, too many drawbacks are causing a significant delay. Product development is no easy feat; it’s important to understand that the process will be challenging on your own. Even with the best idea, you still have a long, obstacle-filled path to conquer. In fact, many great ideas never make it because the inventors or entrepreneurs behind it have too much on their plate. It’s not easy to successfully launch a product to the market; you will need some help, it will cost money, and it will take time. But don’t let this scare you — keeping a positive mentality and mindset makes this process a bit more bearable, especially when you work with industry experts. Even with the right mindset and mentality in place, you need to have a business plan that makes practical sense. When it comes to getting a product to a market, there are both good and bad ways to go about it. One of the best ways to spring-forward your product market launch is to get a patent as well as licensing. Doing so is going to save you a great amount of time, energy, and money. Additionally, you will want to consider seeking product marketing to ensure that people will be likely to discover your product. Next, you’ll want to consider product design. This is an important factor, as product design combines factors of the way products feel, look, and function. A good product design results in smarter, cost-effective production, maximizing the materials and increasing sales. Getting a working model of your idea is an essential step for funding or selling the idea to other people. In developing a working prototype it is important to replicate the final production product in the very best way possible. This means you will want to consider prototype development services such as 3D modeling, CNC, or injection molding. There are many prototyping benefits, and with the right services, you’ll be able to attain a realistic feel for the final product and discover little things that you might not recognize without an accurate replica. Don’t be discouraged if you are thinking about inventing a new product. By simply understanding that there is a lot to do and that a team of professionals can make the process much more stress-free, transforming your idea into something real is certainly doable. If you are in need of assistance with product development for your idea or invention, contact the product prototyping experts at GloberDesign. To learn more about our product development services, contact us!